Chris Stapleton is the leading contender for the 53rd annual ACM Awards with eight nominations followed by Thomas Rhett with six and Keith Urban and Shane McAnally with five each. Reba McEntire, who will host the awards show on April 15 for the fifteenth time, announced the nominations Thursday (March 1) morning on CBS This Morning. The singer also picked up her sixteenth nomination for Female Vocalist of the Year which she has won seven times. Urban was nominated for Entertainer of the Year, Male Vocalist, Song ("Female") and Vocal Event ("The Fighter" with Carrie Underwood) where he is up for artist and producer. McAnally is up for producing Old Dominion's album Happy Endings, Midland's single "Drinkin' Problems", Song of the Year for both "Body Like a Back Road" and "Female" and Songwriter of the Year. Garth Brooks is once again nominated for Entertainer of the Year in which he will compete with Urban, Jason Aldean, Luke Bryan and Chris Stapleton. 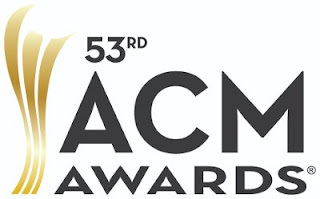 Tim McGraw and Faith Hill received their first nomination as a duo while the Vocal Event category includes the previously mentioned nomination for Urban along with Glen Campbell and Willie Nelson for "Funny (How Time Slips Away)" and Maren Morris and Vince Gill with "Dear Hate".